I noticed that Winamp Online Services list is very poor without Facebook,Youtube or some Flash games that you could play straight from Winamp browser window. 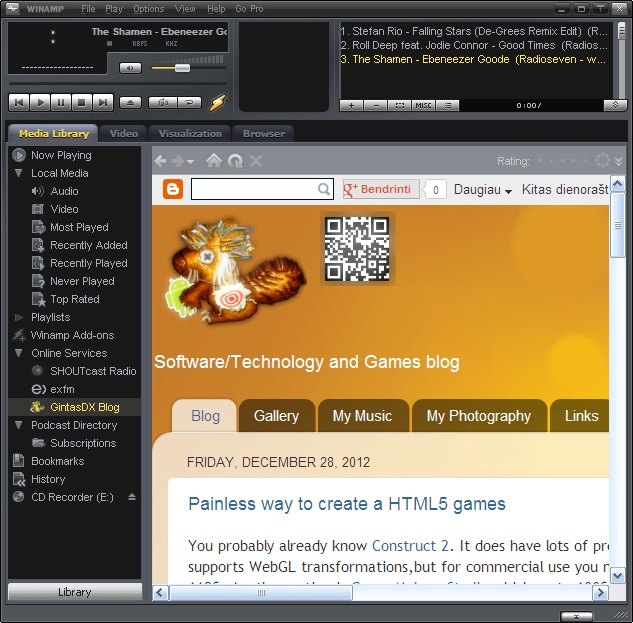 It's really easy to add more online bookmarks to Winamp Media Libary. Next step is to open and edit it with your text editor. The configuration looks like this. We only need to change ID with number we used before in a file name and change name displayed in Winamp,URL and icon. Icon can be stored in a same folder or you can provide online URL. Don't change other 3 values or remove them. Save the file and reopen Winamp. You should see your new service with your icon. 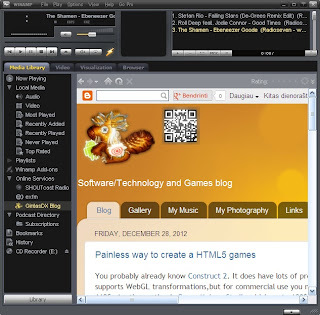 Winamp uses Internet Explorer engine to display pages so on Windows XP it's no fun at all.